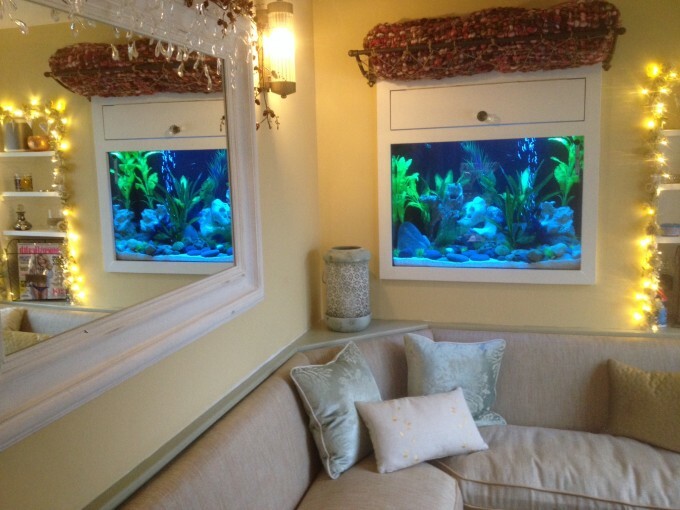 This Spa aquarium was recently installed in a relaxation room of this day spa. The filters are hidden away underneath and behind the aquarium. There is relaxing music playing in the room which adds to the tranquillity of the aquarium.